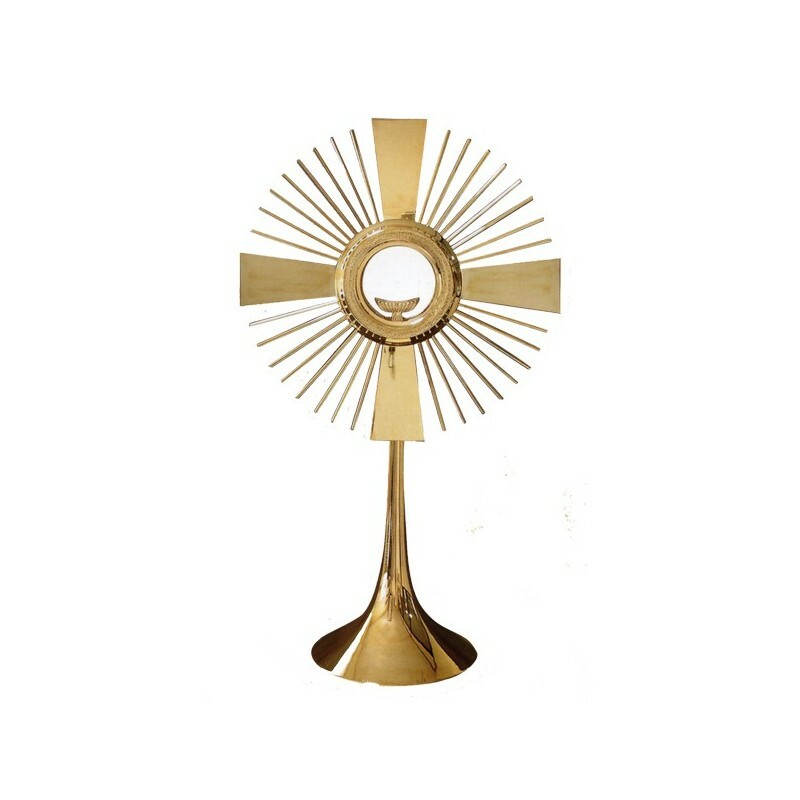 Golden and silver-plated classic monstrance. 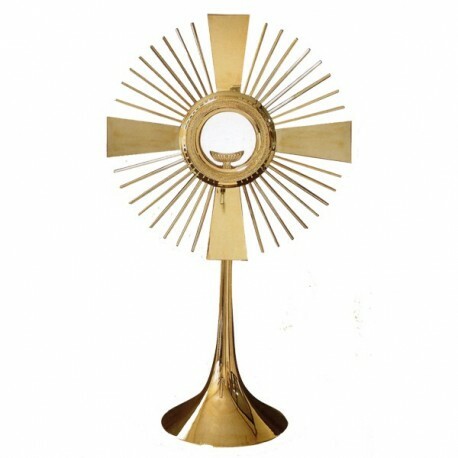 Classic monstrance, H. cm. 59, D. cm. 34, of brass with fused golden base, glass porthole.